One of the subjects covered in this 2 day seminar was “Cupping and Instrument Assisted Fascial Release”. The presenter for this class was Molly Verschingel, an LMT in Portland, OR for more than 20 years. When fascia becomes thickened and has adhesions it affects our proprioception, reduces strength and mobility. Fascia can become stiffer/denser when it has received damage but also along lines of stress. Both Cupping and Instrument Assisted Fascial Release are great additions for a massage therapist’s practice for a different, yet effective therapy for their clients. It is effective in releasing restrictive fascia, connective tissue, and muscular tension. Traditional Cupping Therapy, a part of Chinese Medicine, has been practiced for thousands of years. Cupping technique involves creating a vacuum, or suction, on the skin to gently draw the tissue upward into the cup, to mobilize blood flow in an order to promote healing. Cupping is believed by some to treat pain, decrease deep scar tissue in muscles and connective tissue, reduce swelling, stimulate activation of the lymphatic system, and can aide in detoxification. The cups can be left on for 5 to 15 minutes, or even dragged across the skin while suctioned in order to break down muscle fiber and adhesions. Usually treatments are not painful; however a red ring or sometimes dark circles may appear post-treatment. These marks are not dangerous and usually disappear within a few days. Plastic and glass cups are the most common materials used today, replacing the horn, pottery, bronze and bamboo cups used in earlier times. When glass cups are used the suction in the cup is created by lighting a cotton ball soaked in 70% alcohol, quickly placing it inside cup and pulling out to remove the oxygen inside the cup. Silicone cups are also now being used by some practitioners. These cups create suction with a simple push top and can be easier to use, more malleable for use over non-flat surfaces of the body and allow for a more exact amount of suction, thus it is believed creating less of the “bruising” markings. Cupping can be a great complement to other techniques and modalities of bodywork. In IASTM techniques, an instrument is initially used to detect scar tissue and adhesions by rubbing or scraping over the skin. Scar tissue limits range of motion and can cause pain, preventing patient from functioning as they did preinjury. After an area of restriction has been identified, the tool is then used to apply friction to the tissues, breaking down scar tissue, and creating a local inflammatory response. This inflammatory response increases blood flow in and around the area thus helping promote the healing process in the affected fascia and soft tissues. Here are three specific types of IASTM technique, each with their own unique tool(s). Gua Sha is a part of traditional Chinese Medicine that uses small, hand-held tools made of stone, jade or animal horn. Some practitioners use plastic or ceramic tools. The tool is used to scrape the skin producing a light bruising. It is believed that Gua Sha releases unhealthy, or toxic, elements from injured areas and the scraping stimulates blood flow and healing. Graston Technique is a registered technique, requiring certification to perform under this name, which uses stainless steel tools formed in six sizes and shapes that allow the practitioner to rub across the client’s fascia and muscular tissue to identify injury areas and provide treatment. Fascial Abrasion Technique (FAT) uses a specially designed instrument known as the Fascial Abrasion Technique tool which has a contoured shape used to break down scar tissue and fascial restrictions. IASTM tools can be used to treat painful conditions resulting from injury or overuse disorders such as carpal tunnel syndrome, plantar fasciitis, cervical and lumbar strain, iliotibial band syndrome, rotator cuff tendinosis, and tennis and golfers elbow. 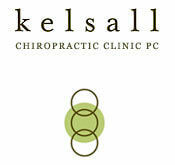 Dr. Weber and Dr. Kelsall are both Certified Graston Practitioners, both having great success over the years offering this modality/technique to their patients. Request an appointment online or call (503) 223-8719.